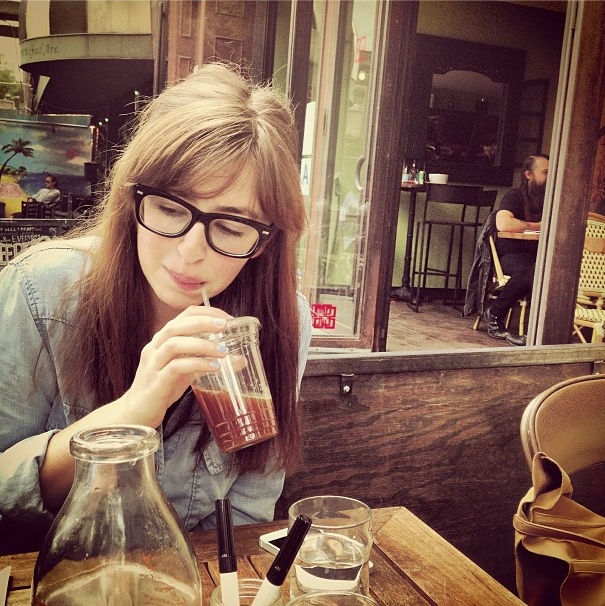 The personal blog of Miranda Erokan. my sister D'Arcy is in new york for the weekend and she's staying with Nate and me. she brought us the sweetest present... an eggling! if you haven't seen these adorable creations, they are perfect little ceramic eggs that you break open with a spoon... the soil and seeds are already inside, all you need to do is water it and in a couple months we should have a tiny strawberry or two growing out of our egg! it shall be the cutest ever.